An exterior view of the mobile command center, a FPL truck designed to respond to power outages during disasters. Ralph Grant of Florida Power and Light shows off the mobile command center, a truck designed to respond to power outages during disasters. An interior view of the mobile command center, a FPL truck designed to respond to power outages during disasters. Inside, monitors and white boards line the walls. A large screen in the back shows a map of the FPL service area. It’s a touch screen, and when Grant zooms in on a street, it shows who has power and who doesn’t. “[It] just gives us quick information that allows us to send resources to the right place in a timely manner,” Grant said. He says FPL plans to use the truck for disasters during hurricanes, because it will have the ability to communicate under any weather conditions. And the company has one more new tool to respond in a disaster: a drone will eventually take flight to help survey flooded areas. 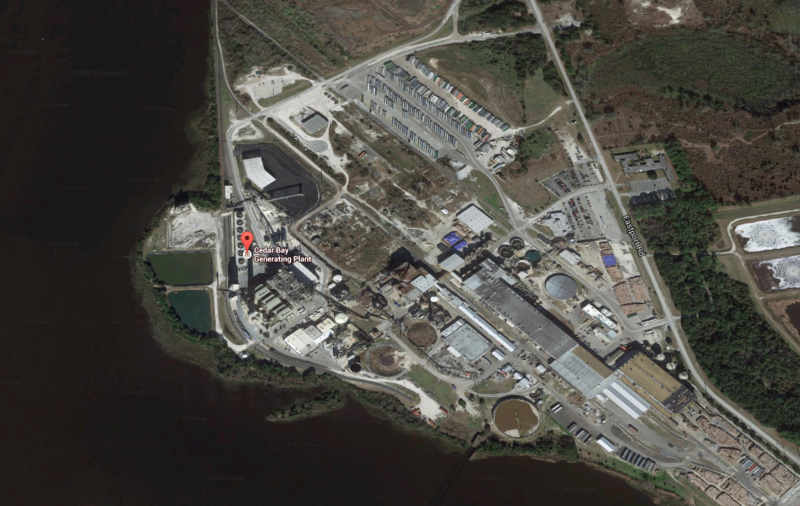 A coal-fired power plant in North Jacksonville is being targeted for closure by Florida Power & Light Company. The utility company is asking the state Public Service Commission for permission to buy the Cedar Bay power plant. Florida Power & Light Company wants to buy the plant on Eastport Road for more than $500 million by July.